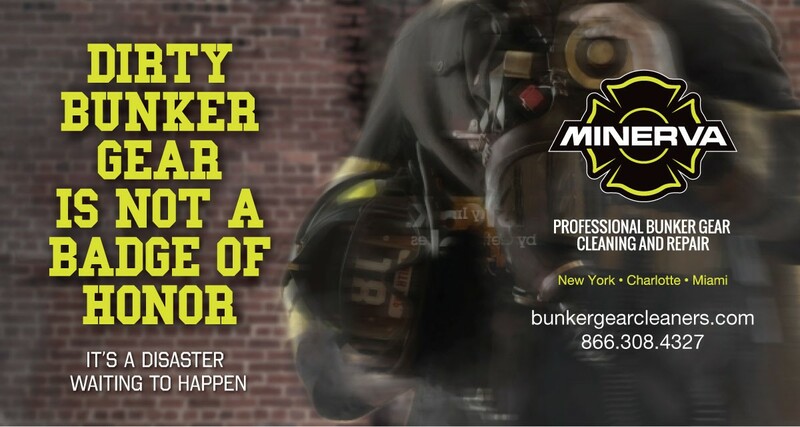 Minerva Bunker Gear Cleaners, an industry leader in the cleaning and repair of firefighter gear since 2000, is unveiling a bold new branding strategy that will not only increase the company’s visibility but also raise awareness of the potential health risks associated with contaminated gear. Medical research has indicated that a firefighter’s risk of cancer is three times higher than that of the general public as a result of exposure to hazardous contaminants that are in the air and embedded in the gear. In response to these findings, Minerva has made firefighter safety a focal point of its marketing campaign. In addition, Minerva has introduced its Project Clean Hoods program developed for fire departments of all sizes. Membership ensures a clean and sanitized hood once a month for each firefighter, discounts on cleaning and inspection and database tracking of each hood. Minerva specializes in cleaning, sanitizing, inspecting and repairing bunker gear for firefighters and other personal protection equipment users and is the exclusive service provider for the FDNY. Its proprietary Third Party tested Fire Soaps line of detergents and sanitizers are designed specifically for bunker gear. The fabric sanitizer has been proven to kill 99.9 percent of germs and bacteria. All bunker gear repairs are done to factory specifications in Minerva’s fully authorized repair center. The company also provides loaner and rental gear as well as free shipping services. Minerva Bunker Gear Cleaners has facilities in New York, Charlotte and Miami. The company will be promoting its new safety-based campaign at FDIC, the world’s largest firefighter training conference and exhibition set for April 20th to 25th, 2015 in Indianapolis, Indiana. For more information about Minerva Bunker Gear Cleaners, visit www.bunkergearcleaners.com.